When you’re in need of a service department that will treat your vehicle with care as if it were their own, visit Lévis Mazda. For all your service needs, you can trust the service department at Lévis Mazda to complete all the work that you could need in a timely and professional manner. 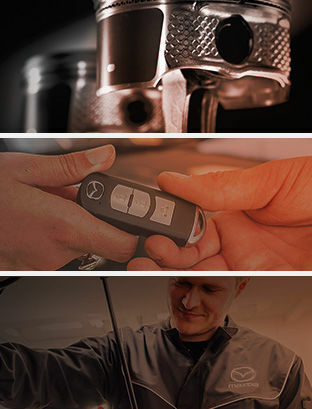 Whether you’re bringing your vehicle in for a simple oil change or a full maintenance package, the service department at Lévis Mazda will complete any job to the highest of standards. For all of your quality after sales services, Lévis Mazda will go above and beyond in order to make sure that your needs are met and you are satisfied. As you wait for your vehicle, take advantage of our spacious lounge as well as our other in-house services. We can also help you go about your day with our shuttle service. Our team of service experts are always available to answer any questions that you may have and inform you of any work that needs to be done on your vehicle. Come to the service department at Lévis Mazda today and let us take care of your vehicle.